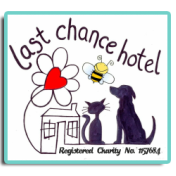 A great way to raise funds for Last Chance Hotel is to hold a fundraising event. It doesn't have to be a large event that needs lots of volunteers to run it. It can be anything you like, a sponsored skydive, hair shave, a swim. Of course you can put on a large event if you have the people to run it such as a dog show, cake sale, jumble sale. ​How about getting the kids involved? A sponsored read, dog walk or even a sponsored silence..... they raise the cash, you get some peace and quiet.... perfect! You can set up a Fund Raising event using JustGiving. This is very easy to do - just click 'Fundraise for Us' to start the ball rolling.